Viburnum Designs has been working with the area’s most notable corporations and leading businesses for over nine years. 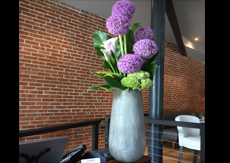 We offer custom floral arrangements and office plants that will bring fresh inspiration to your working environment. Brighten your office space with a weekly delivery of fresh flowers inspired by the seasons and designed in distinctive decorative containers. 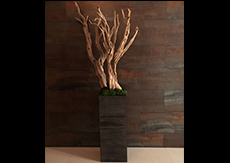 Bring your corporate space to life with indoor plants and planters customized to compliment your company’s individual branding and aesthetic. 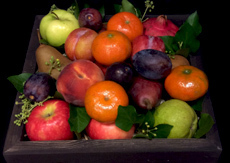 We also provide corporate gift giving for even the most discerning clients, employees, and business partners. From fresh flowers and unique plants, to luxurious orchids and high-end gourmet gift crates, we make it simple to send large volume and holiday orders. 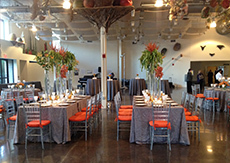 As a full service event design team, we can assist with all aspects of your corporate event – including coordinating with other vendors for lighting, specialty linens, tables, chairs and other rentals. This means dramatically less stress for you as we guide you towards edited and stylish options while also ensuring your investment is well spent.